It's at the corner of Caroline and Truxillo, completely boarded up and surrounded by barb wire. It appears to be owned by the Houston Community College, but a little research shows that is is slated to be the new site of the Buffalo Soldiers Museum. A good recent article (with excellent pictures) about it is here (Cite). The large open interior would be ideal for a museum or even a rental hall (which the famous Armory building in NYC is used for--and has been at least since 1913). I remember that place, slept on the floors a time or two, when I was with Co. G, 143rd Inf. I miss those times & the top notch troops that where there. Just started looking into it again. It's actually City of Houston property and when i looked into it about 5 years ago, the city had leased it to the Houston Hispanic Forum for $1 a year for 100 years. From my understanding, the renovation proved too costly and i think it still requires asbestos abatement. After the 1136 Inf (Abn/Pfdr)out of Austin was disbanded, I went there to G Co. 143rd Inf. I slept on the floors & in the parking lot. Fun times. 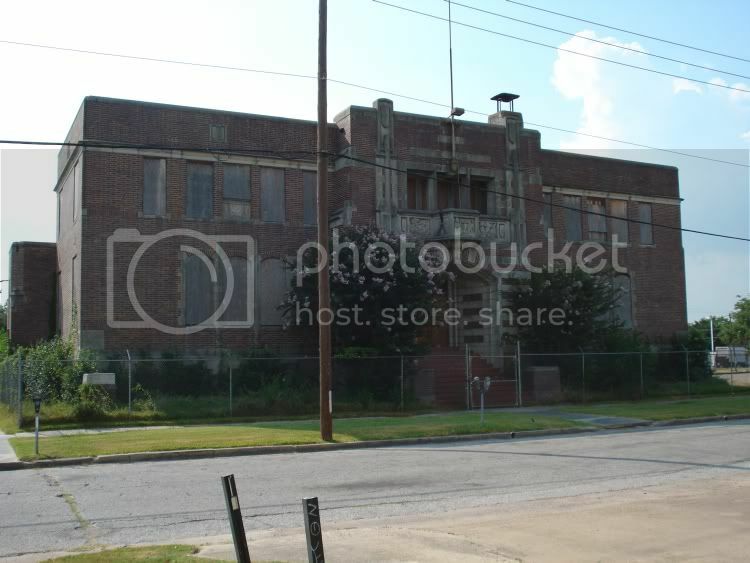 As of today, Thursday, September 23, 2010 the Buffalo Soldiers is raising the last of about $5 million to totally renovate the historic Houston Light Guard Armory. The museum is also in the process of connecting with all those who served with this armory group, had family members who served, and/or had some other connections (sleeping, reporting to, etc.). The museum has about 7000 bricks and pavers that still need sponsors. They are looking for individuals, groups, companies, etc. to leave their legacy by investing in a brick or paver. The bricks and pavers will be placed in the outdoors "Soldiers Plaza" after the armory renovations are completed. The museum wants to honor all veterans and military personnel, whether or not they were connected to the Bufffalo Soldiers, including those in Blue, and those in Gray. Share this information with all of your contacts so we can raise awareness concerning renovating and preserving this armory and bringing back some of the memorabilia that is now at Ellis Field, or in someone's private collection. www.buffalosoldiermuseum.com, or by calling Ed Udell at 713-942-8920. Glad to see the HLG Armory is going to be put to good use. I served there and later at Ellington FIeld with G co 143rd Abn-Inf. Good times and some great soldiers! OMG! Important Change at the Jones School!!!!!!!! Voting Fraud in Harris County?